Transparent Canoe gives Incredible View of what’s below. 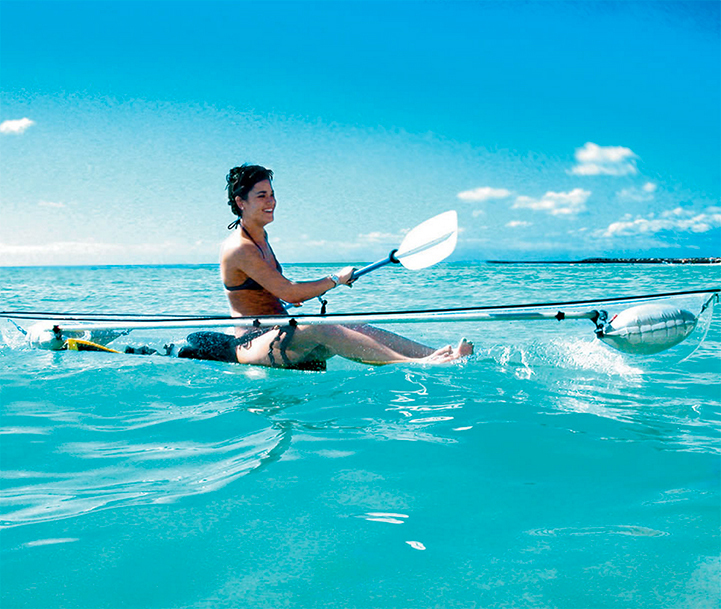 If you’ve ever wanted to cruise the ocean in a glass-bottom boat, then consider this transparent canoe/kayak as another fun, unconventional option. Hammacher Schlemmer recently started selling the clear polymer hull that seats two people and supports up to 425 pounds of weight. As you paddle along the water, you’re offered a full view of everything that’s beneath the surface. Imagine seeing the fish swimming right below you. The watercraft is meant for a fun and safe ride. Its durable material is the same that’s found in the cockpit canopies of supersonic fighter jets, and it also includes an anodized aluminum frame that weighs 40 pounds. This makes it easy to transport or store. Seating is adjustable and has paddlers sitting lower to the deck for improved balance. In addition, the vessel displaces a greater amount of water for added surface stability. via Transparent Canoe Offers Incredible Views of the Ocean Below – My Modern Met. ← The Magic of New Zealand.